Coordinator notes: Your hesitant ID is correct. 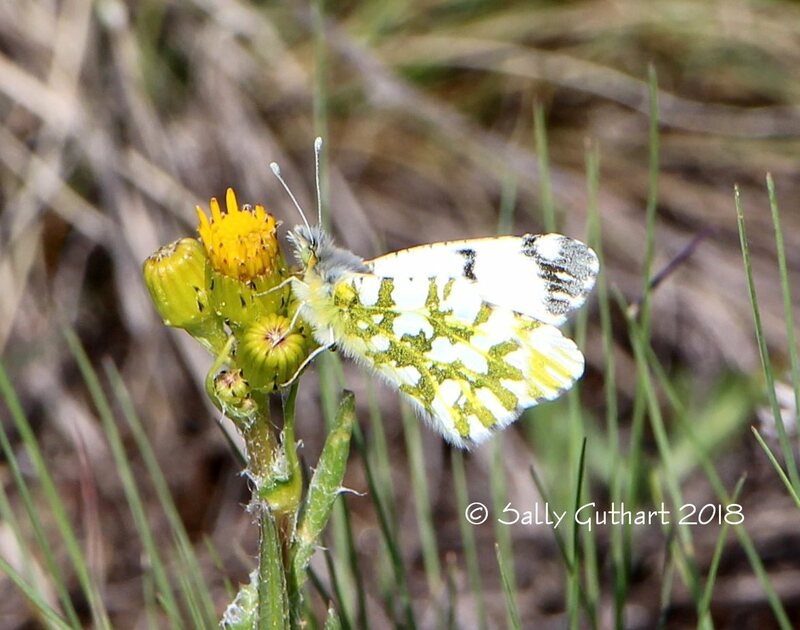 The other similar-looking member of Pierinae in Larimer County, the Olympia Marble, is found in shortgrass prairie habitat at much lower elevations, usually no higher than the base of the foothills (I've seen them right above Dixon Reservoir). Also, the Olympia Marble lacks the "trident" of veining on the bottom right corner of the ventral hindwing.